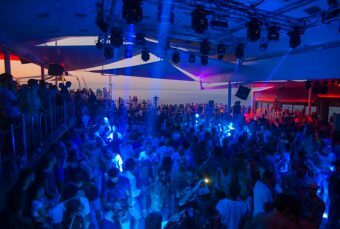 Every summer, many Greek islands are getting crowded by enthusiastic tourists from all around the world. The Greek sun, the crystal blue sea and the friendly hospitality attract tourists. However, next to popular Greek holiday destinations, there are many more Greek islands off the beaten track that are equally exotic, ideal for alternative, peaceful vacations far from the bustle of crowded resorts. Here are some nice choices of Greek islands off the beaten track. Ithaca has been worldwide famous as the homeland of the Homeric hero Ulysses. Surprisingly though, Ithaca is one of the Greek islands off the beaten track, totally unspoiled by massive tourism. The crystal clear sea and flourishing mountains offer the ideal setting for peaceful holidays and activities, such as hiking, trekking, swimming and fishing. Many local festivals (panigiria) are organized in summer, for the celebration of a local saint. Things to do in Ithaca are limited to swimming and hiking, while worth to visit is the Monastery of Panagia Kathariotissa, located on top of a hill with breathtaking view over the bay of Vathy. 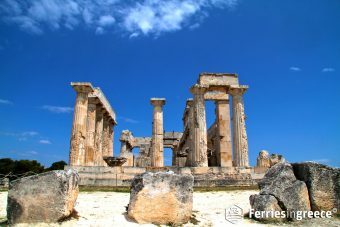 Ferries to Ithaca depart from the mainland ports of Ithaca and Killini, Peloponnese. Daily routes are also served by the port of Sami, Kefalonia island. In summer, visitors can also board a ferry to Ithaca from Vassiliki port in Lefkada island. 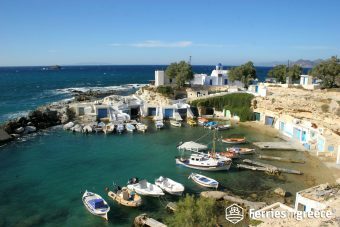 The isolated island of Kythira is an amazing destination with pure nature and beautiful Venetian architecture. The island belongs to the Ionian islands, although it is geographically located south of Peloponnese. In Kythira, tourists are invited to explore the monasteries of Agia Moni, Agia Elesa and Virgin Mary Myrtidiotissa, as well as beautiful beaches, such as the organized beaches of Agia Pelagia and Kapsali or the secluded beaches of Chalkos and Lykodimou. Interesting sights to visit are the Cave of Agia Sofia, with stalactites and stalagmites, the Venetian Castle above Chora town and the Waterfalls outside Mylopotamos village. Daily ferries to Kythira depart from Neapolis port in the Peloponnese. 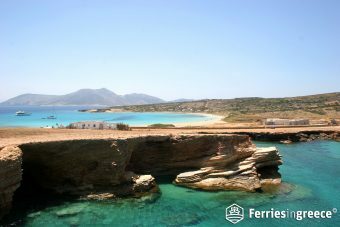 There is also a ferry from Gythio three times per week, which stops at Kythira on its way to Kissamos, western Crete. Occasionally, there are week ferries to Kythira from Piraeus in high season. One of the most wonderful Greek islands off the beaten track is Donoussa, a Cycladic island between Naxos and Amorgos. Embellished with nice calm beaches and amazing trekking routes, Donoussa island is so tiny that you can explore it in few hours. There is practically only one village on the island and a port settlement. The beaches close to the port are frequented in high season but directing to the inland, there are fantastic large bays to enjoy total privacy, such as Kendros and Fikio. Ferries to Donoussa depart three times a week from the port of Piraeus in Athens, with other island stops in between. 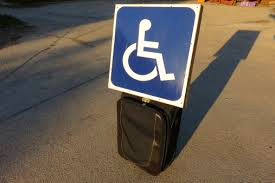 You can also hop to Donoussa from Naxos or Amorgos, as there is daily connection with local ferry between these three islands. In Cyclades, close to the famous Santorini, lies Anafi island. Anafi is small, but offers many amazing tranquil beaches and clear blue waters. 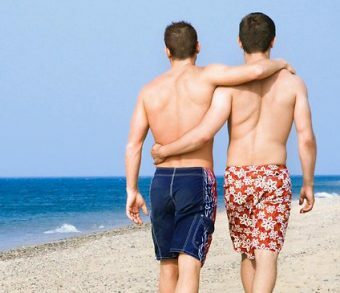 This pure island is a heaven for trekkers, free campers and nudists, as there are a lot of trekking routes and most of the beaches are secluded, accessible only by foot. At a short walking distance from the port, there is the beautiful Kleisidi beach. Tourists can enjoy a panoramic view of the island and the Aegean Sea from the only village, Chora, and the monastery of Zoodochos Pighi, following the trekking route that passes across most of the island. 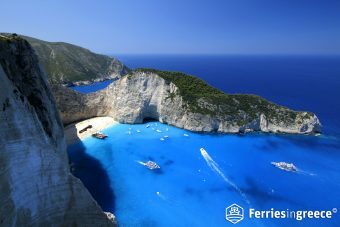 Ferries to Anafi depart three times per week from Piraeus, the main port of Athens, with several stops in other islands. 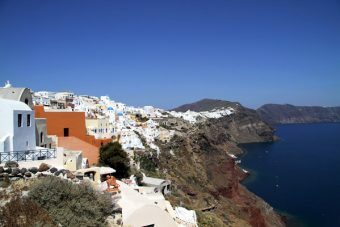 As the trip is long, many visitors fly to the close island of Santorini and take the ferry to Anafi from there. Tilos is a small secluded island that belongs to the Dodecanese complex. As this is one of the most characteristic Greek islands off the beaten track, Tilos has remained untouched and is perfect for alternative holidays. Livadia, the port settlement, is the most tourist developed village with taverns, shops, hotels and a well organized beach. The other beaches in Tilos, like Eristos, are more isolated, but all are exotic with crystal waters and beautiful surroundings. Do not miss a visit to the ghost village of Mikro Chorio, an abandoned village in the center of the island. There are ferries to Tilos 3 times per week from Piraeus, the main port of Athens, and the trip takes about 18 hours. As this trip is very long, many visitors actually choose to fly to close islands, such as Rhodes and Kos, and take the ferry to Tilos from there. An island of the Eastern Aegean, south of Samos and Ikaria, Fourni is a paradise for relaxation. Although not widely known, this is an island of great natural beauty with crystal waters and charming traditional villages. 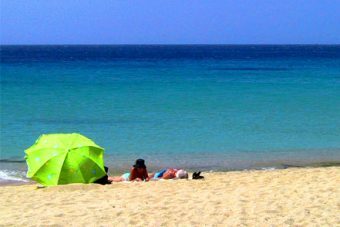 The beaches are secluded, clean and not organized, except for a couple of beaches that have some umbrellas and sunbeds. The most beautiful beaches in Fourni are Kassidi, Kamari and Psili Ammos, the only organized beach and nearest to Fourni Town. The Town, a peaceful fishing village constructed around a small port, is ideal for a walk or a dinner at the local fish taverns. Ferries to Fourni depart from the port of Piraeus in Athens about three times per week. As the trip is long (about 18 hours), many visitors actually choose to fly to close islands, like Ikaria and Samos, and take the ferry to Fourni from there. Island Hopping from Crete: where to go next?